Manga Entertainment UK have quietly announced, in the announcement as My Hero Academia – Season 3 Part 1 I might add, that they plan to release the Diamond & Pearl collection of Pokemon movies individually on DVD on the 15th April 2019. Pokemon the Movie 10: The Rise of Darkrai, Pokemon the Movie 11: Giratina and the Sky Warrior, Pokemon the Movie 12: Arceus and the Jewel of Life and 18 were previously made available as the Pokemon Diamond & Pearl Movie Collection but from the 15th April 2019 all four films will be available to purchase individually on DVD. It is expected that the these discs will be the same as those in the Pokemon Diamond & Pearl Movie Collection; with the obvious difference that they will feature their own artwork and packaging – an ideal choice for those wishing to own the films individually rather than in a single movie collection. 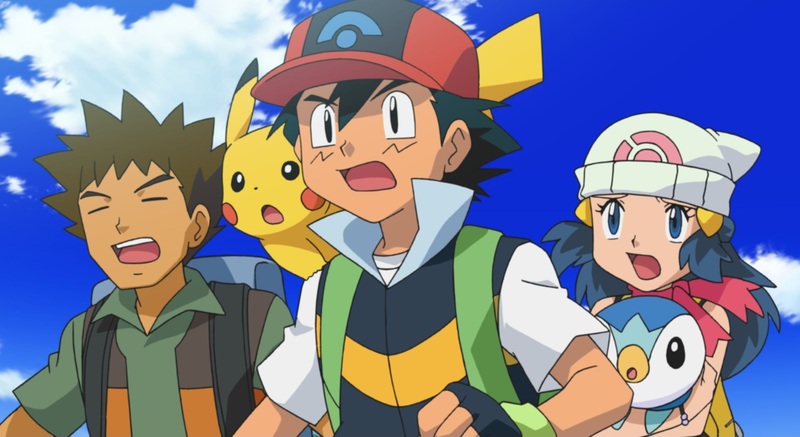 It’s also worth noting that Pokemon: Partner Up with Pikachu, which is a DVD featuring a selection of Pokemon episode focusing on Pikachu) will also be available on the 15th April 2019 and that Pokemon: Diamond & Pearl is currently broadcasting on POP! within the UK.